That was the advice given by the BBC’s Phillip Norton when he was guest-of-honour at the annual awards presentation for Healing School, where he was a former pupil. Held at the Humber Royal Hotel, the occasion marked the first, as Principal, for Michelle Dewland. She praised pupils and staff after a hugely successful year of results and achievements. Grimsby-born Phil started his journalism career at the Grimsby Telegraph before moving to Look North 14 years ago. Healing was a “fantastic school” and one he was “really proud to be associated”. “I know I owe so much to it for helping me get the best possible start in life, which ultimately gave me the launchpad for my career,” he said. He pondered in that assembly about what did he want to get out of life. 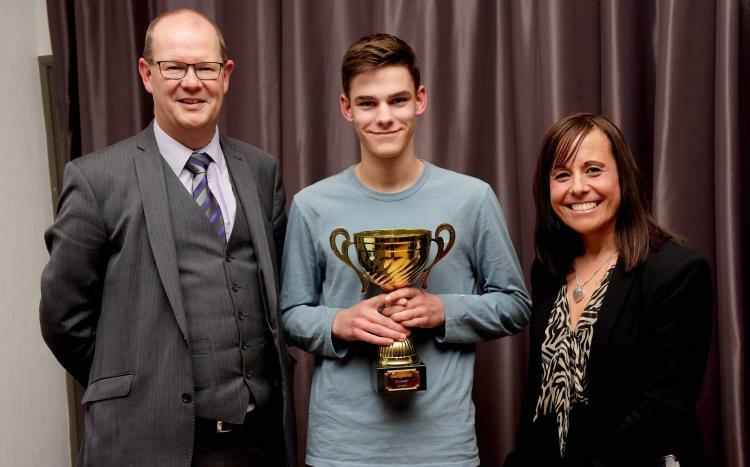 He’d wanted to be an airline pilot but, being “utterly hopeless” at maths was inspired by an industry day when one of the guests was then Grimsby Telegraph journalist Andrew McKinnon. “It was his stories about life as a journalist, his enthusiasm, and the thought of being out and about as a roving reporter, doing something different every day, that really appealed to me. “I knew that to get into a career in journalism, I’d have to fight hard and start from the bottom. He studied A-levels at Franklin College and completed a journalism degree at Southampton University before landing the job at his home town newspaper. “I’m lucky to be doing the job of my dreams, day in, day out. As well as being a senior reporter for Look North for almost 14 years, I also work for the national BBC in London or, this coming weekend, cover the entire north of England. It was as Mr Twinning had said all those years ago. Phil said there was much to celebrate. “We’ve got investment coming into the area – the Renewables sector on the Humber, hopefully a whole new future with regeneration in the town centre, the docks area and the east marsh, and who knows, maybe, just maybe, even a new football ground for Grimsby Town. “And there’s people like you – young people, the future of this town, of this area, already successful in what you’re doing, already achieving your potential – making a bright, promising future for yourselves - and who can help make a promising future for this area in the process. Mrs Dewland, making her first speech as Principal, thanked Phil for returning and inspiring the pupils. 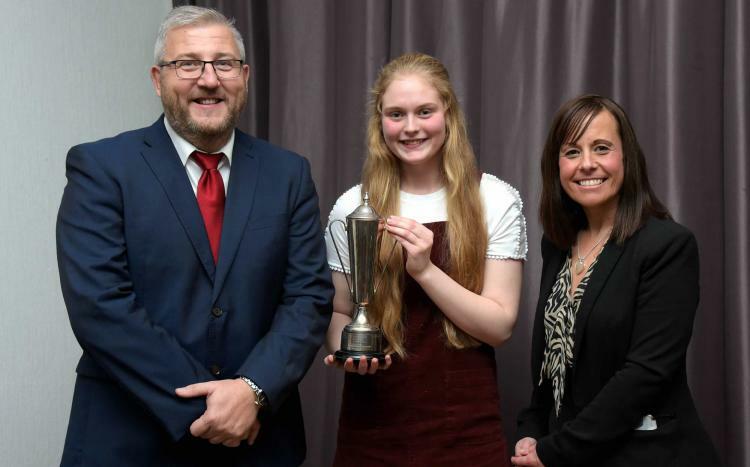 She told the audience everybody associated with the school had experienced a year of change and challenge but the evening was about celebrating “amazing” results and achievements. 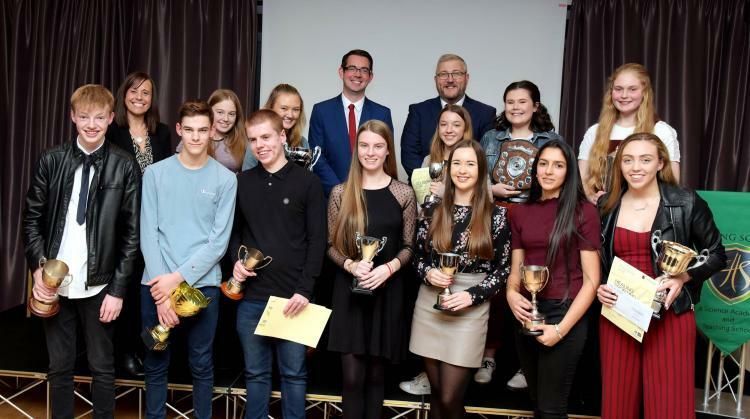 “You, our former Year 11 pupils deserve special praise, as do your teachers and all colleagues at Healing School who worked tirelessly to support you,” Mrs Dewland said. “The change and challenge you faced included the new 9 to 1 grading system with most foundation subjects, joining maths and English. Across the whole school, 81% achieved a standard pass of 4 or better - a C in the old system - in English and maths and 51% gained a strong pass. English saw 91% achieve the standard pass and above, while in maths it was 82%. “There were outstanding results across the whole school and I want to pay tribute to Team Healing – staff, governors, pupils, parents, grandparents, carers, and wider community - who contributed to the successes. “I would also like to thank Healing Multi-Academy Trust and in particular Mr Mark Knapton as Chief Executive Officer for his trust in Team Healing to always do the best by our pupils. “When we all work together, we can achieve great things. “Of course, Healing School is never just about results. Our focus is always on maintaining its ethos - built over many years - of developing well-rounded individuals. She listed the year’s considerable successes. “We only get one chance with the education we provide for our amazing pupils and we are determined to ensure that Healing provides the best possible education that we can. This continues to drive our passion for improvement. Trophy winners with guest speaker Phillip Norton (back, left), chair of governors Ian Fielding and Principal Michelle Dewland (second from left). Trustees’ award winner Will Gale with Healing Multi-Academy Trust Chief Executive Officer Mark Knapton and Principal Michelle Dewland. 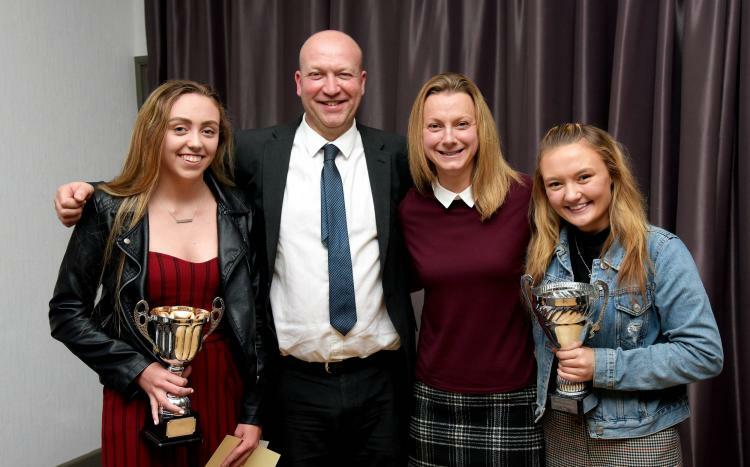 Trophy winners Ellie Buxton (left) and Abbie Bloomfield with head of Humanities Nick Chappel and PE teacher Helen Arnold. 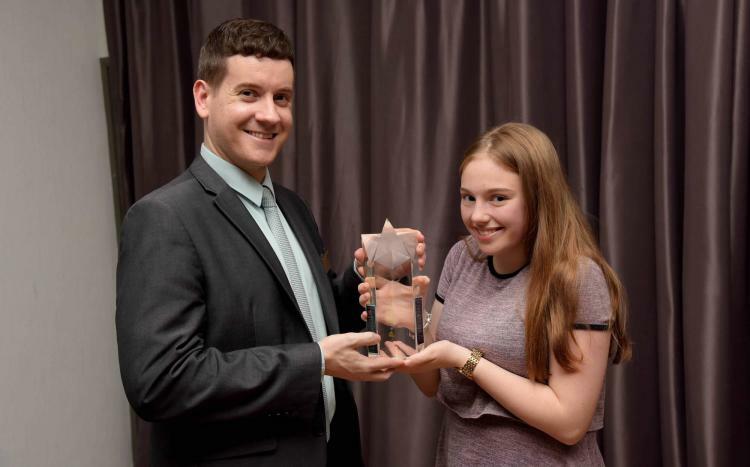 Abigale Brady receives her Performing Arts Trophy from the Head of Performing Arts Leigh Hirst. Principal Michelle Dewland with trophy winner Daisy Cheeseman. Emily Oldridge, who achieved the best GCSE results, with chair of governors Ian Fielding and Principal Michelle Dewland. 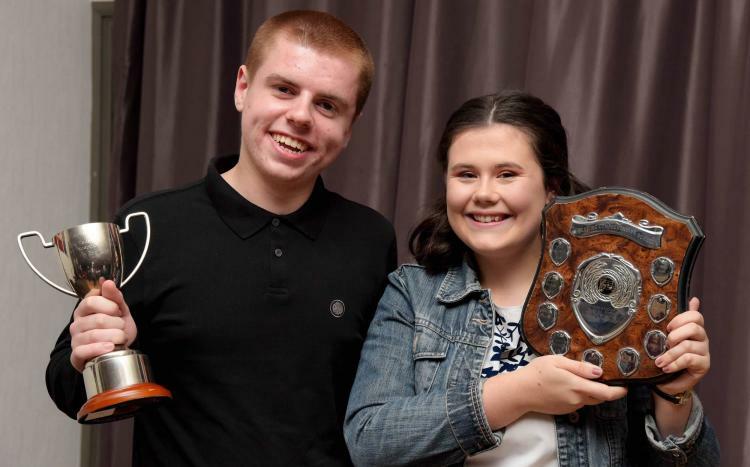 Music and English Trophy winners Jay Pauley and Casey Peterson.